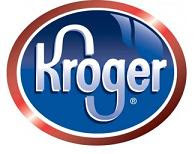 Big Fat Piggy Bank: NEW Kroger Deals 3/29! We have a new addition to share with you. Starting today we'll have Kroger deals brought to you by Stockpiling Moms! I hope this helps all you Kroger shoppers (especially Mom & Dad up in Ohio)! Here are the best Kroger deals I see this week. Buy 4 participating Quaker Chewy Granola bars or Post Cereal & Save $4! (Submit MIR Available for Stouffer's in All You, April 2010) = FREE + $1.00 Money Maker!